Preliminary evidence indicates that the participation in ayahuasca rituals can be therapeutically valuable for the treatment of addiction. Within the scientific paradigm the safety and efficacy of ayahuasca however needs to be further researched through controlled clinical trials. This presentation will cover advances of the process of implementing a research protocol for the conduction of a randomized controlled clinical study in Mexico with the objective to evaluate the therapeutic efficiency and safety of ayahuasca-assisted therapy in the treatment of substance abuse disorder in comparison to current best practices for substance dependency treatment provided by the public health system. The presentation will also touch on methodological and bureaucratic challenges of evaluating the therapeutic efficacy of ayahuasca within an approach of intercultural medicine that includes indigenous ritual and Western psychotherapy. Furthermore current scientific knowledge and clinical experience of the therapeutic usefulness and limitations of ayahuasca in the treatment of addiction will be discussed. Anya Loizaga-Velder, Ph.D., is a German-Mexican clinical psychologist and psychotherapist who has been collaborating with indigenous healers and investigating the therapeutic potential of the ritual use of psychedelic plants for over 20 years. She earned a Ph.D. degree in Medical Psychology from Heidelberg University in Germany with a doctoral dissertation on the topic: “The therapeutic uses of ayahuasca in addiction treatment”. 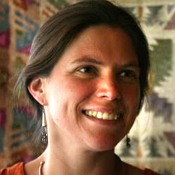 She is founding member and director of research and psychotherapy of the Institute for Intercultural Medicine Nierika, A.C. in Mexico, a Mexican NGO dedicated to the investigation and preservation of indigenous traditions with sacred plant medicines and therapeutic applications of these medicines in the treatment of mental health challenges. Anya also works as a postdoctoral researcher in Health Sciences at the National Autonomous University of Mexico (UNAM), where she works towards implementing a controlled clinical trial for evaluating the therapeutic efficacy of ayahuasca for addition treatment and also collaborates on a international qualitative study researching the therapeutic potential of ayahuasca in the treatment of eating disorders.